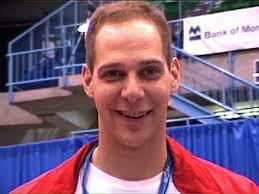 The Island Gymnastics Academy will be welcoming one of Canada’s top coaches to PEI next week. Kelly Manjak, Head Coach and Owner of Manjak’s Gymnastics in Mississauga will be the guest coach for the Academy’s competitive training camp. The camp is athlete-focussed but coaches will also get to coach with Manjak as well as attend professional development clinics throughout the week. Manjak is best known as the coach of Canada’s first Olympic Medalist in gymnastics (2004) Kyle Shewfelt but he has coached many more gymnasts to Canadian National Team status. He has had athletes representing Canada at many major competitions including Commonwealth Games, Pan American Games, six World Championships, and the 2000, 2004, and 2012 Olympic Games for both men’s and woman’s artistic gymnastics. He has received many coaching accolades over his career including Gymnastics Canada’s Coach of the Year, the Canadian Olympic Committee’s Petro Canada Coaching Excellence Award, and the Canadian Olympic Committee’s Jack Donahue Coach of the Year Award, which is selected from all sports. In 2013, Gymnastics Canada honoured him with a Life Member Award. In demand across the world as a gymnastics expert, Manjak is a Course Conductor for the NCCP Level 4 Coaching Certification program and is Brevet Certified by the International Gymnastic Federation. “We are extremely fortunate to have Kelly come to PEI to share his knowledge with us. It promises to be a productive week for both athletes and our coaching staff.” says Women’s Program Director, Sharon Gareau.